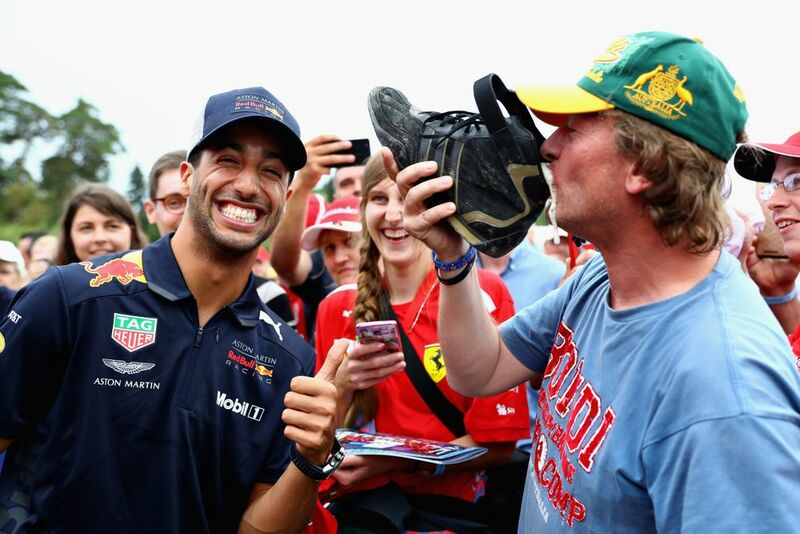 Daniel Ricciardo didn’t invent the shoey, but he sure as heck made it popular. Many other people have been affected by his trademark celebration, too, with the likes of Nico Rosberg, Mark Webber and - best of all - Sir Patrick Stewart all getting involved over the years. Part of the enjoyment of seeing someone drink from a sweaty shoe is the thought of how disgusting it must be. I mean, just imagine all the nasty bacteria that’s probably living in a hot, moist shoe. Imagining isn’t enough for some people, though. Some people want studies, and that’s exactly what Western Sydney University’s School of Medicine Gastroenterology was asked to do. The lab there put a selection of sweaty footwear through their paces with a variety of different alcoholic beverages to see what cropped up. Now, you might think that the alcohol would kill off any bacteria present and in most cases, it does. 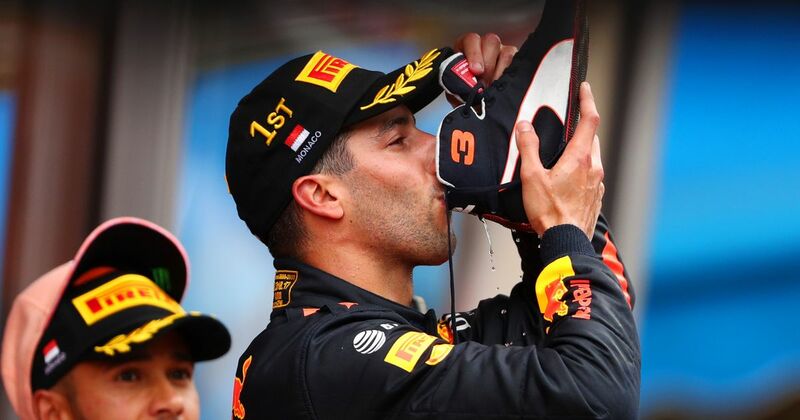 However, the drink Ricciardo will often use for shoeys - champagne or sparkling wine - not only failed to reduce the bacteria level, but actively increased it. That’s because the sugar and yeast involved in the fermentation process of champagne are conducive to the development of any existing bacteria. Yeah, this is sounding kinda gross. “I wouldn’t recommend drinking out of a shoe that’s been immersed in alcohol. One of the most remarkable things we found here was the fact that you could actually isolate an organism such as Staph even after it’s been immersed in alcohol for a good one minute. 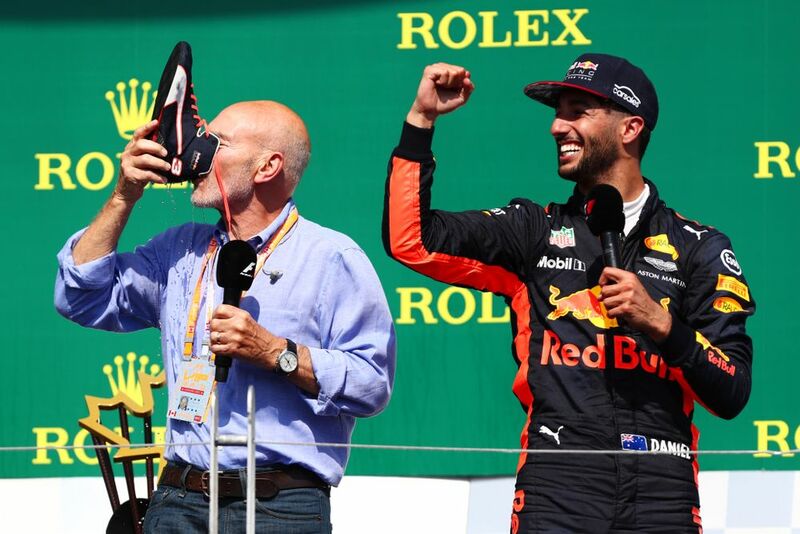 If Ricciardo’s goal from doing a shoey is to try and put his rivals out of subsequent races through illness, then it sounds like he’s going the right away about it! Dr Ho also recommended that if anyone does want to drink from a shoe it should have had minimal contact with feet, be clean, and not with sparkling wine. In other words, the exact opposite of Ricciardo’s shoey scenario.